Tenant Tip: Financial Fitness Day! 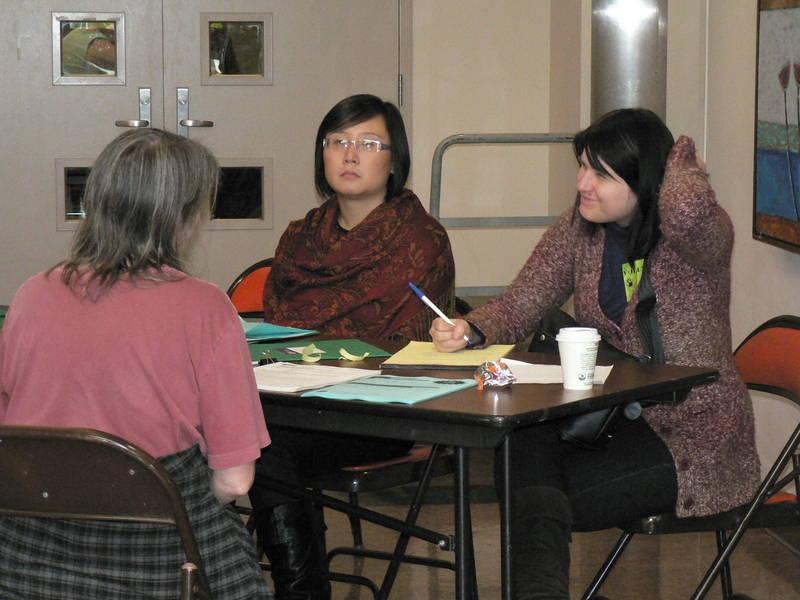 On March 31, 2012 from 10am-2pm, the Seattle-King County Asset Building Collaborative and several community agencies – including Solid Ground – are partnering to provide a day of workshops related to finances, money management and other community resources such as job search, housing, personal budgeting and more. 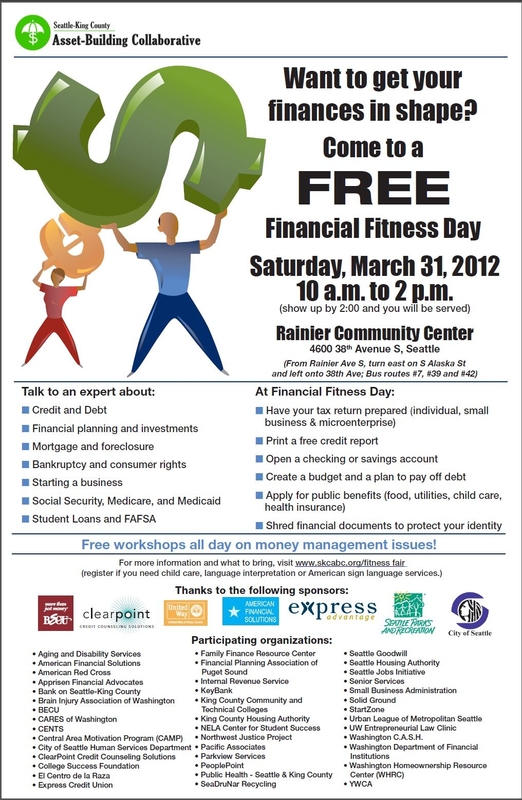 Financial Fitness Day will take place at the Rainier Community Center at 4600 38th Avenue S, Seattle, WA 98118. The event will feature a series of free workshops as well as one-on-one help with filing income taxes, credit and mortgage counseling, financial advising, and information on receiving public benefits. This is a great resource fair for renters interested in getting a free credit report, free counseling on debt management, and credit repair tips. It can help renters understand the information that is often listed on screening reports and know what to expect when completing rental housing applications. It will also be a useful event for homeowners seeking mortgage counseling and resources as well as anyone looking for financial tips, business startup and consumer rights information, and much more. The flyer below provides a list of participating organizations and some of the services that will be offered. The Foreclosure Fairness Act currently working its way through the Washington State Legislature gives homeowners facing foreclosure a valuable tool in the struggle to keep their homes. For more on the problem/solution, check out this video. Legislators need to know that you support this bill! Contact Statewide Poverty Action Network, call 1.866.789.7726, or email Danielle Friedman to take action to support The Foreclosure Fairness Act. 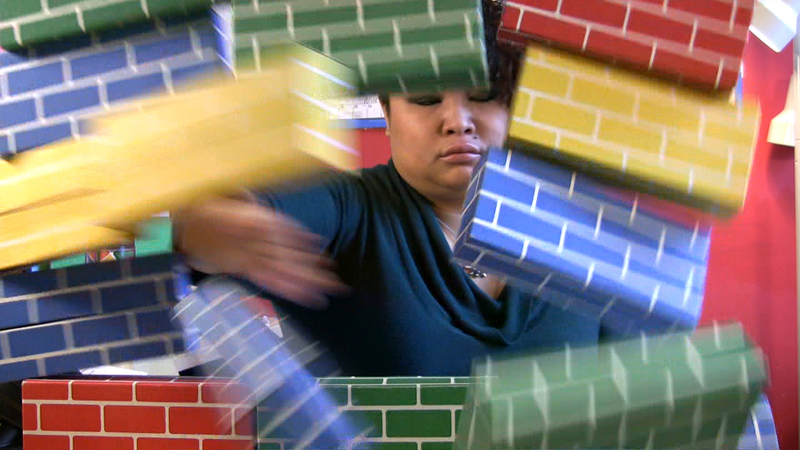 Mortgage counselor Marita DeLeon knocks down the wall between lenders and homeowners. More than 200 homeowners met this past Saturday with representatives of banks and HUD-certified housing counselors to try and find solutions to their mortgage problems. Housing Counselors and bank reps tried to create work out plans to keep folks from foreclosure. At the same time, advocates provided information about other options available to homeowners facing default and highlighted the need for changes in public policy that will protect Washington homeowners from foreclosure. The meeting, dubbed “Mortgage Help Day,” was organized by Solid Ground’s Statewide Poverty Action Network and a large group of governmental entities and nonprofits. The event was held at South Seattle Community College. Throughout the day a recurring theme was that the Federal Government’s Home Affordable plan was not working to help homeowners the way it was envisioned. KOMO News’ coverage showcases some of the challenges homeowners are facing. 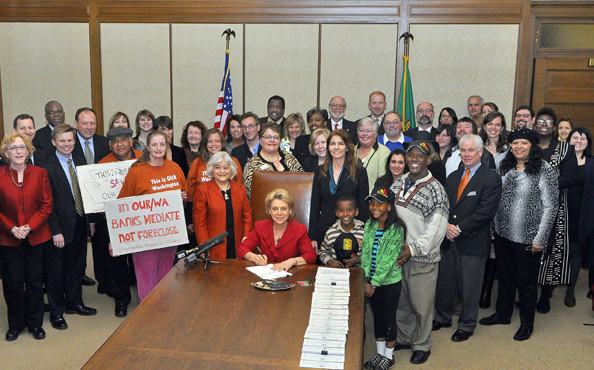 The Statewide Poverty Action Network also collected stories from frustrated homeowners to take to the Washington State legislature this coming session in an effort to get legal help for struggling homeowners. 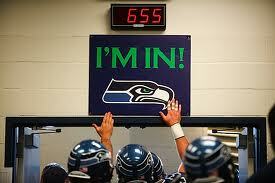 Specifically, they are promoting legislation that would create a mandatory mediation process in Washington State. This would give homeowners every opportunity to avoid foreclosure and maximize the ability for loan modifications. In 23 other states and municipalities around the country, this mediation process has helped 60 percent of participants avoid losing their homes.